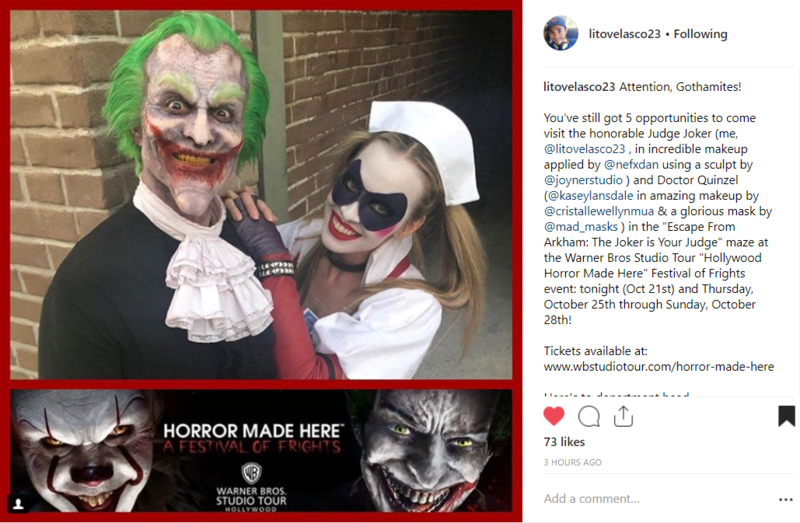 Harley Quinn Arkham Asylum masks used by Warner Bros Studio Tour for Horror Made Here attraction. 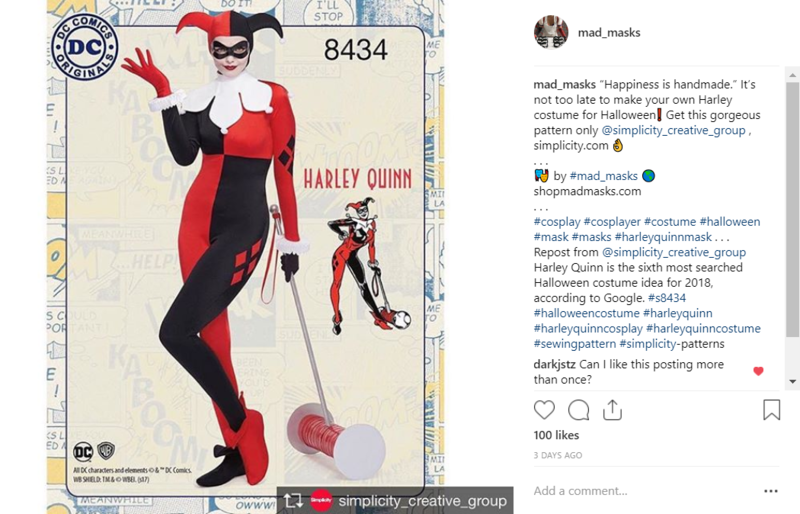 Harley Quinn Classic mask featured by Simplicity for their HQ Classic pattern S8434. 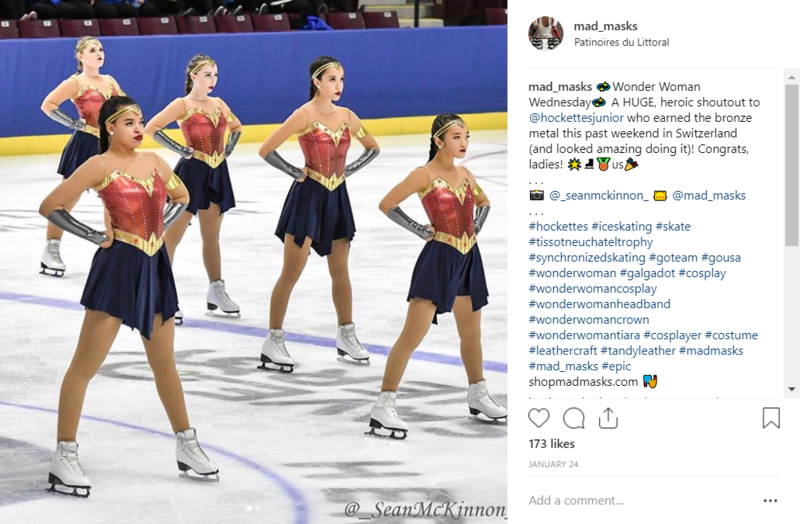 Wonder Woman headbands used by the Ann Arbor Hockettes to complete their sync skating outfits. 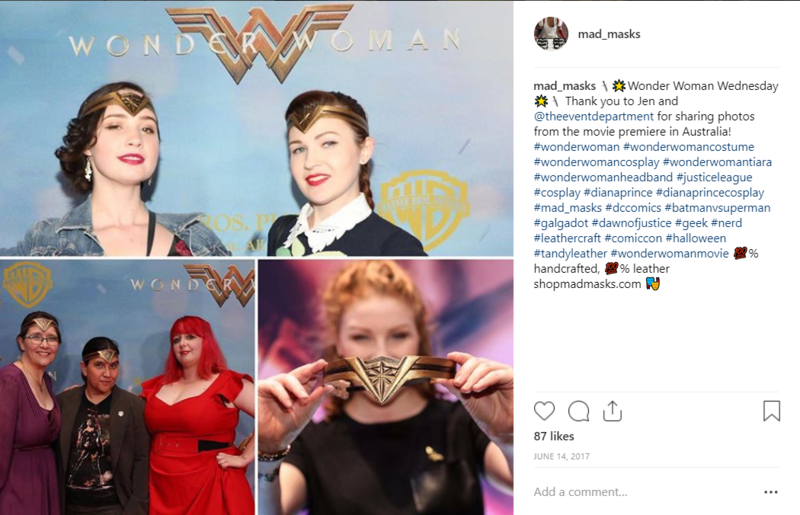 Wonder Woman headbands used as promotional pieces at the Wonder Woman movie premiere in Australia.